DirtyADV is a personal site about motorcycle riding and maintenance. My name is Johan Karlsten, born and raised in Sweden! Started with motorcycles at a young age on a Yamaha PW50 they still seem to look the same today but the one I had was red and white. Once I outgrew that one it was a gap up to 14 when we bought a 50cc Puch Florida 1977 known as a “moped” in Sweden, my dad held on to this one and its still in the family. And when turning 15, legal age to drive the mopeds in Sweden a Gilera Bullit was purchased, maybe not the prettiest machine but pulling the plug in the exhaust and unlocking the 4th gear that was blocked to comply with Swedish rules it ran really great! Took my motorcycle license when I was 18 during while getting the car license. Being a poor student there was not room for any motorcycle and I was only using my parents car. Got hooked on playing computer games so was stuck with that for a few years, still thank Blizzard for not giving me the support I felt you could demand from a game with monthly payments so I gave up computer games and turned to motorcycles. In 2005 I purchased a Suzuki RM 125. But quickly realized it was to much trouble with a unregistered motorcycle going to my dad where I stored it to go riding. 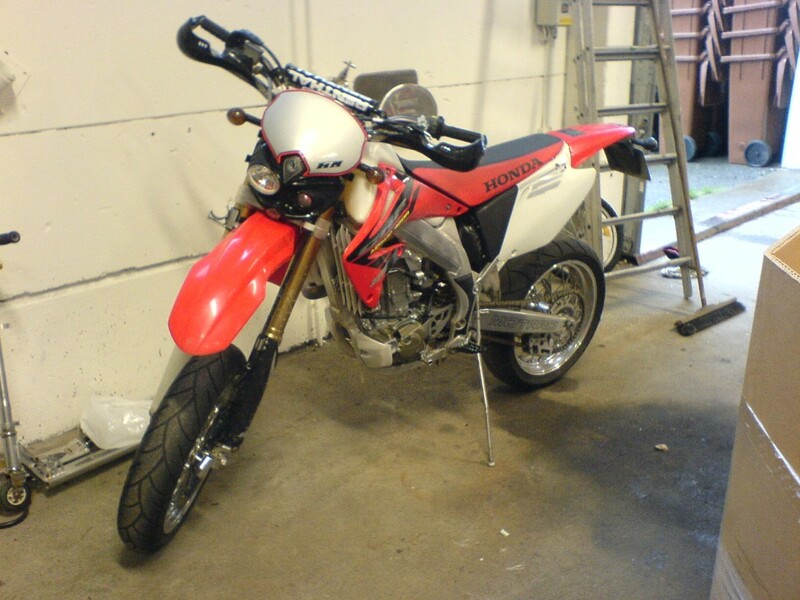 So during the winter I purchased a Honda CRF450HM that was a lot of fun around town but not suited for more then that used it the summer of 2006. 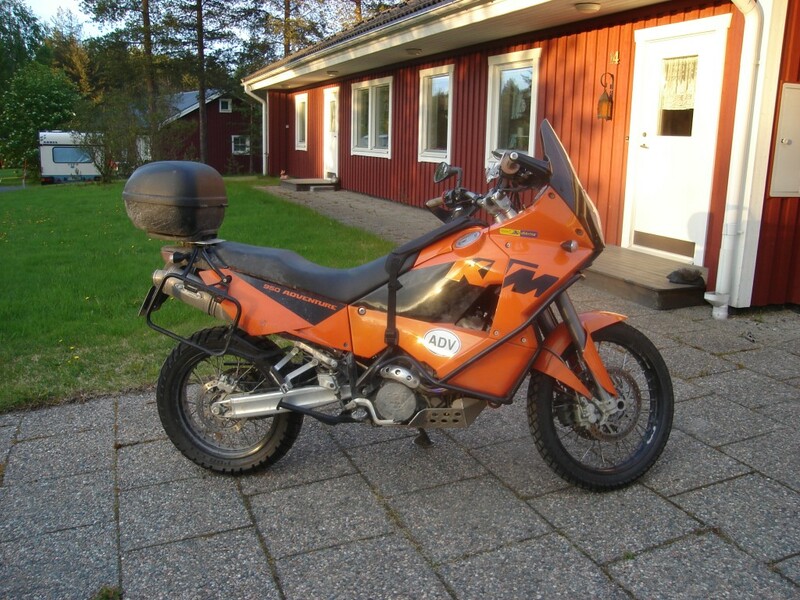 In the autumn I decided to get something else and usually possible to saving some money buying motorcycles in the autumn and had my mind set on a KTM 950 Adventure living up north in the wilderness means its not that big of a market so ended up buying a 2004 in Stockholm. And have since never looked back really like this motorcycle!